As enterprises continue to grow globally with more branch and remote offices in multiple countries across multiple continents, tools for collaboration are becoming increasingly interactive. While it is important to share files andaccess centralized applications, there exists an increasing emphasis on collaborating "real-time". Voice and video are some key applications that allow for this instantaneous collaboration across employees spread in geographically disparate locations. 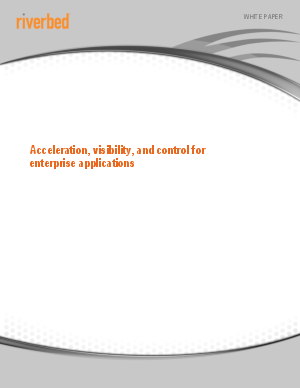 Download this paper and learn how to examine the need for acceleration, application control and visibility to improve performance and troubleshoot problems effectively for the enterprise of the future.